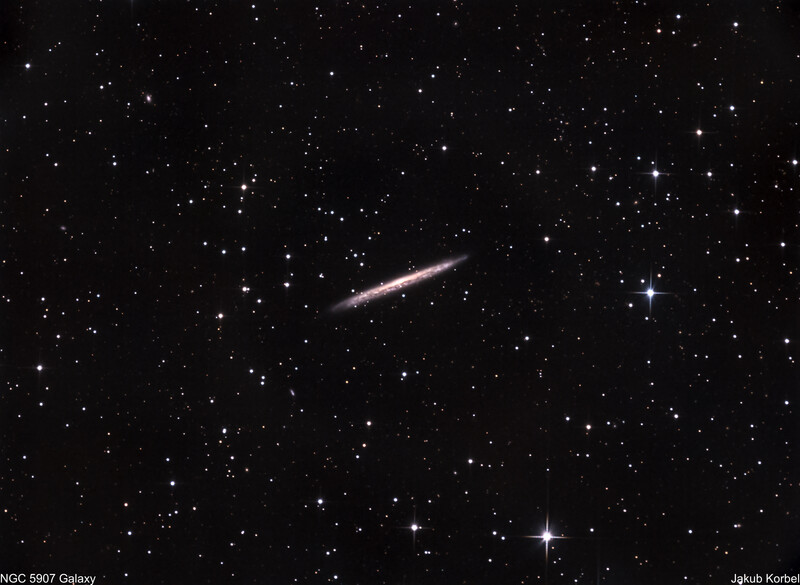 The spring galaxies in constellation Leo are behind the horizon, but I can prolong the season of the galaxies by pointing my telescope into the constellation Draco. I managed to capture four galaxies in one shot. These two bright ones are called NGC5963 and NGC5965. 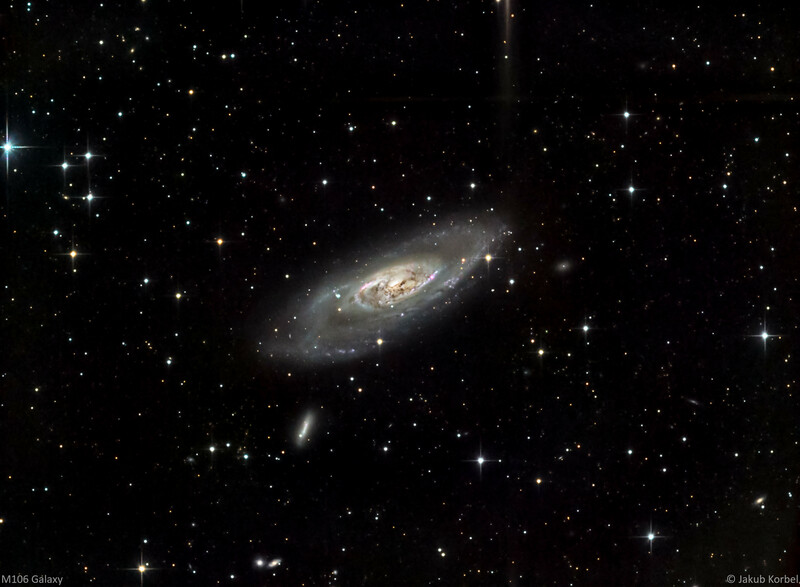 The white one with spiral arm is 5963 and one with yellow hue is 5965. 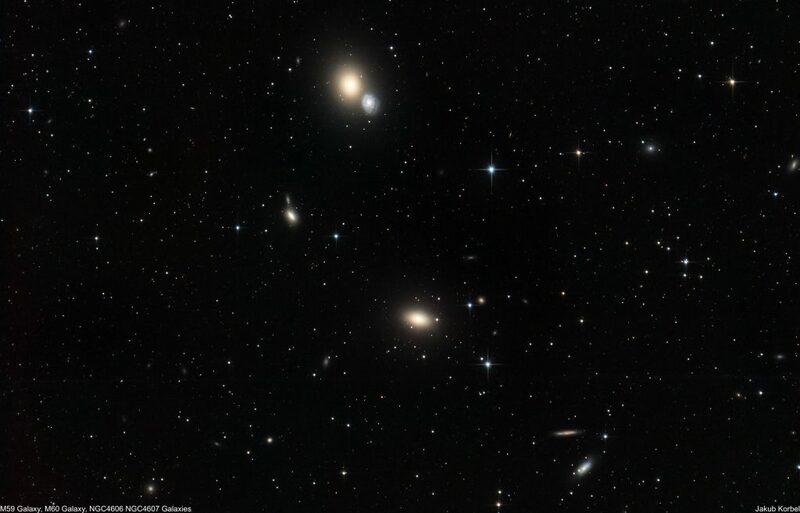 These galaxies were discovered by William Herschel in year 1788. They might look like neighbors, but it only seems so. 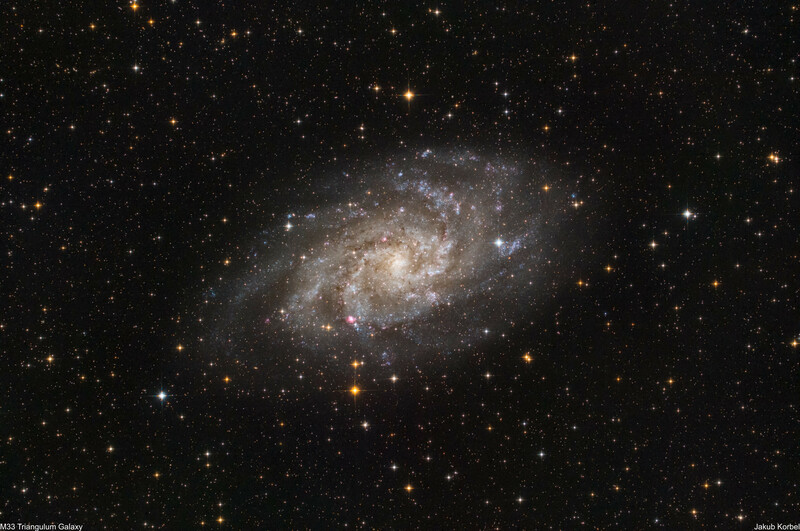 One galaxy is 140 million light-years, second one only 40 million light-years away. 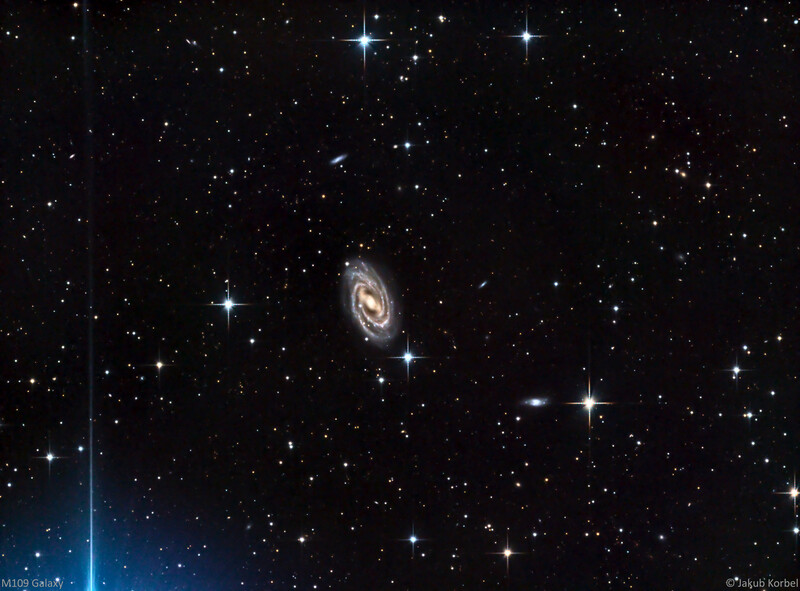 This spiral galaxy is located in constellation Draco and it is 50 million light-year far from Earth. 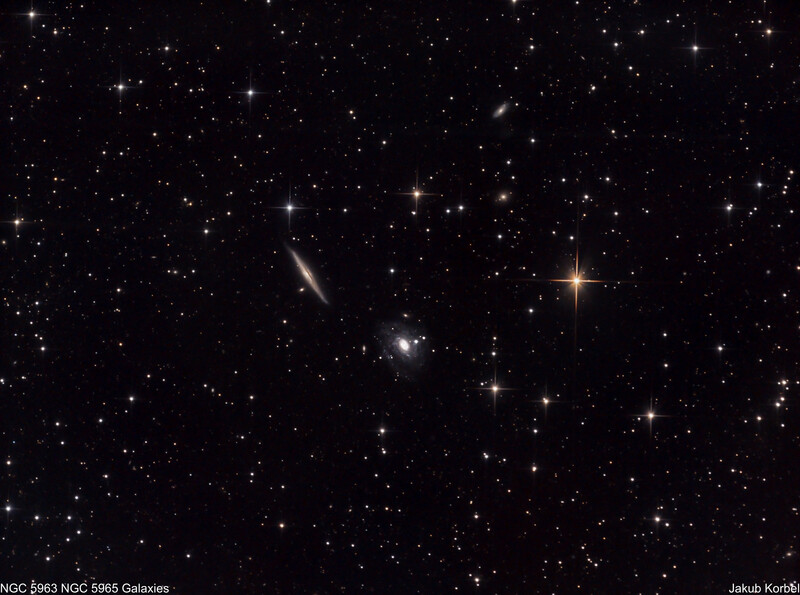 Very impressive picture was made by David Martinez-Delgado et.al here. 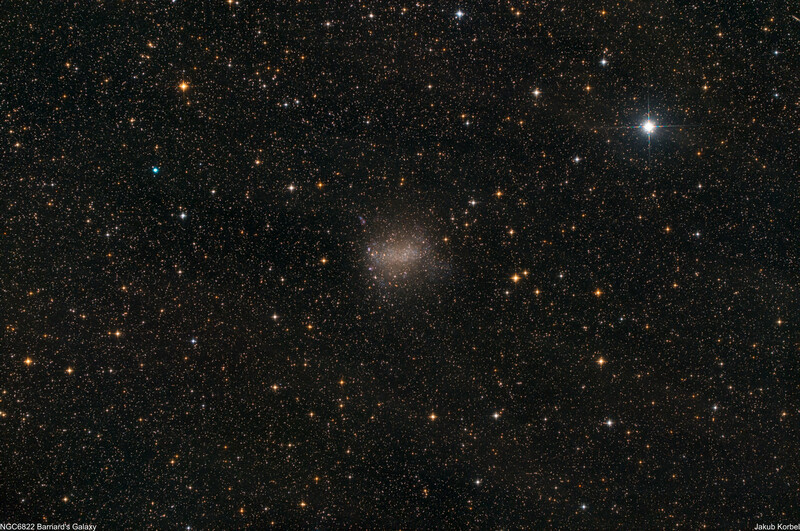 He managed to capture star stream around the galaxy as a result of tidal forces acting on dwarf galaxy. The simulation here explains what happened. I have to admit, there are no signs of such streams on my picture. This is caused by the fact that I live in light polluted area and I have much smaller telescope. 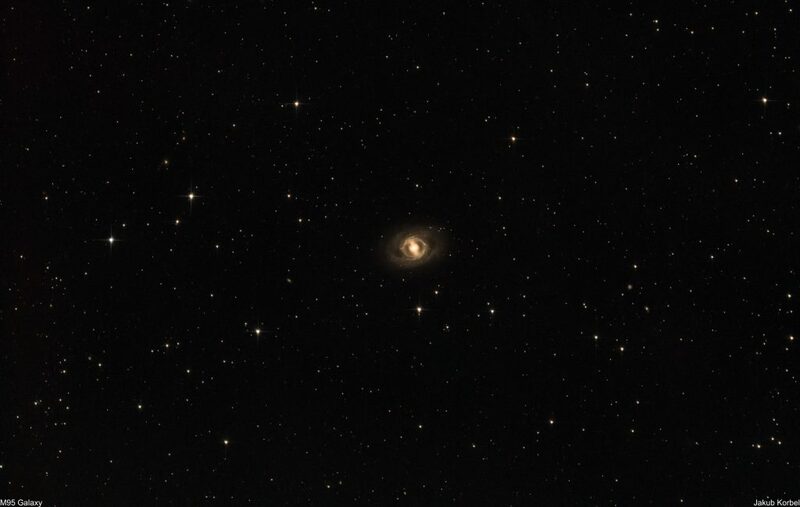 Another captured galaxy this spring. 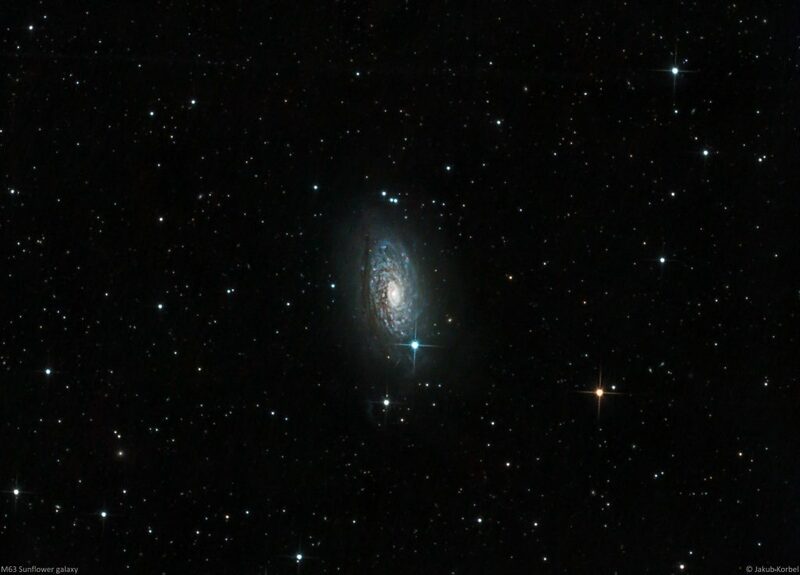 Sunflower Galaxy located in constellation Canes Venatici (hunting dogs) just like M106 or M51 galaxies. M63 has nicely visible spiral arms, it’s 27 million light-years far from us and it’s so called active galaxy, which means that the center of the galaxy is significantly brighter due to presence of supermassive black hole at the center of the galaxy. For this picture I used new astro-camera ZWO 1600 MC, which is one-shot color camera. 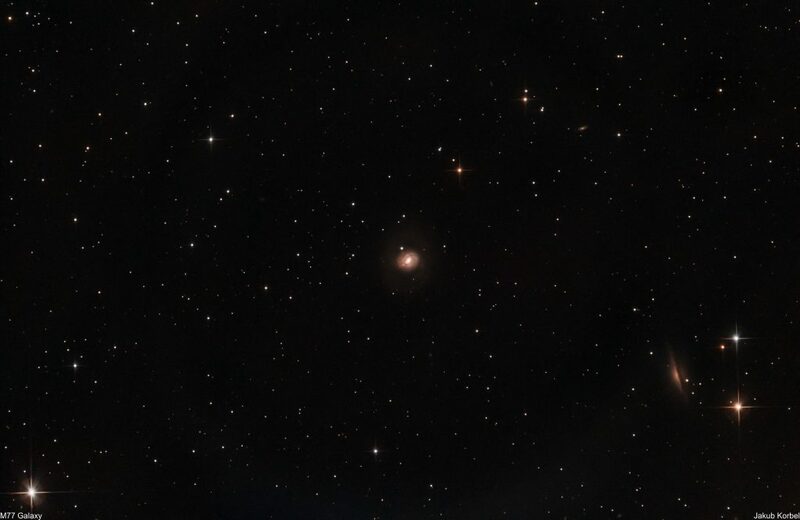 This means no filter wheel is needed and camera is much lighter than my old Moravian Instruments G2 8300M. 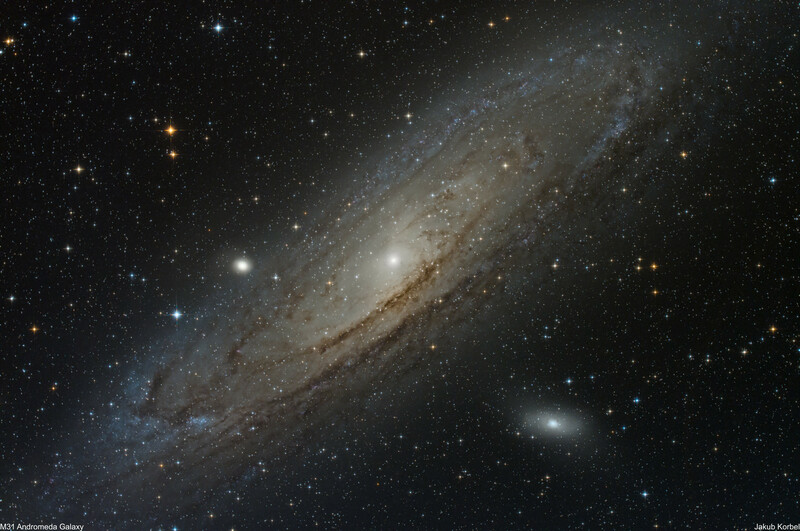 The disadvantage of this camera is that it’s not possible to use narrow band filters. However, for RGB the performance is quite comparable. 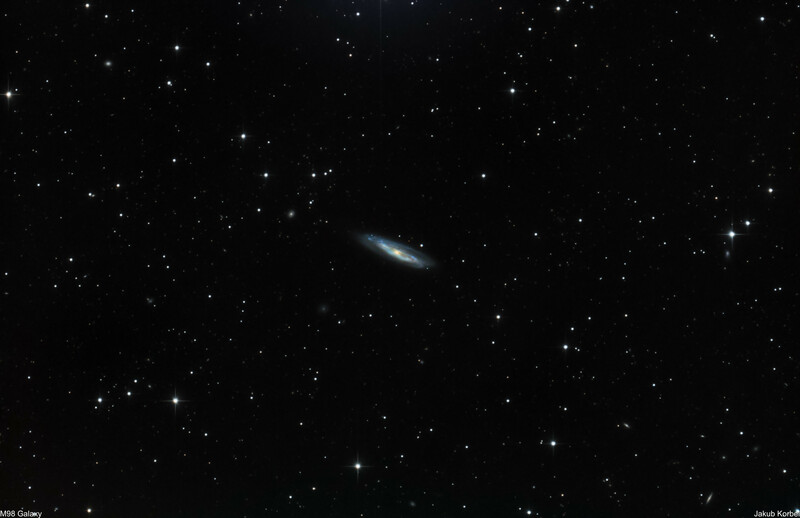 Galactic harvest continues. 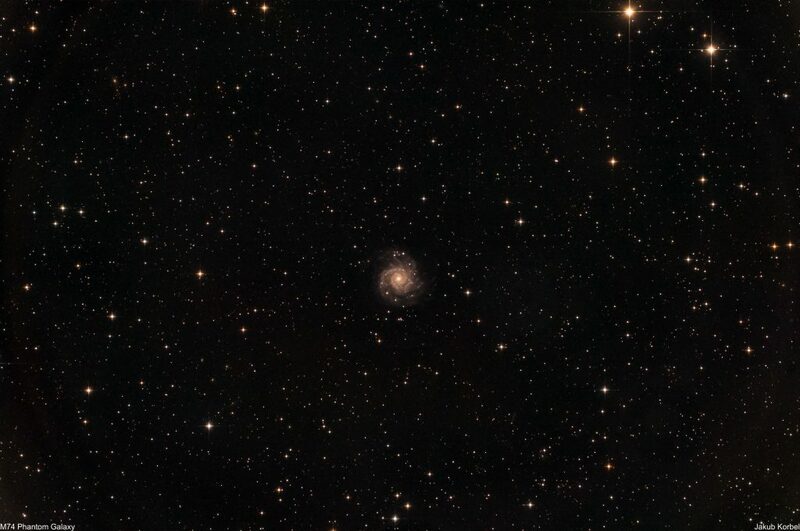 Here again I focused my scope to previously photographed DSO. 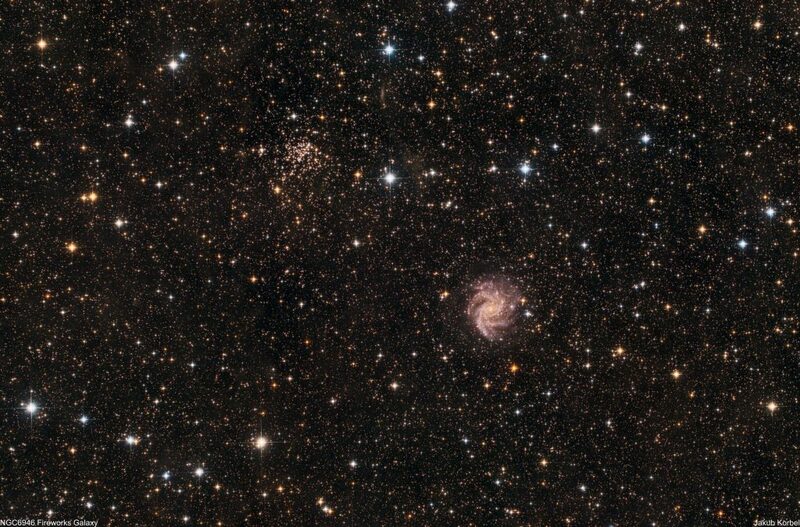 The galaxy is located in constellation Canes Venatici (hunting dogs) not far from famous constellation Ursa Major (great bear) and it’s approximately 24 million light-years far from us. 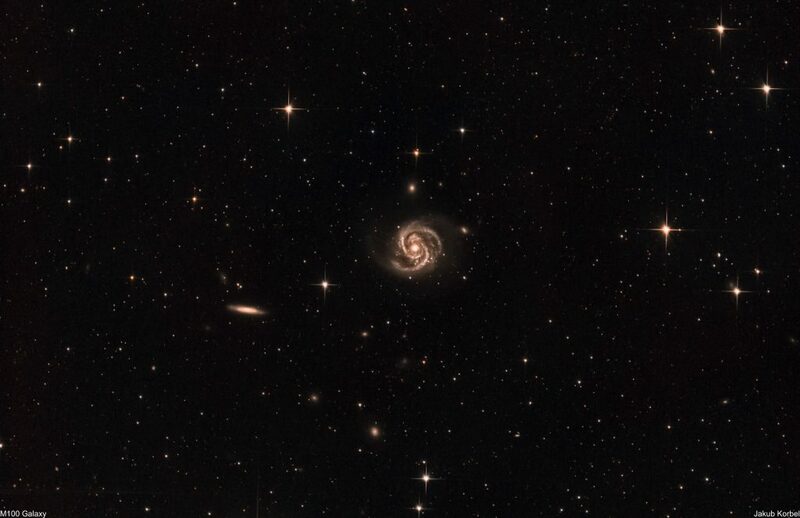 Another galaxy harvest. 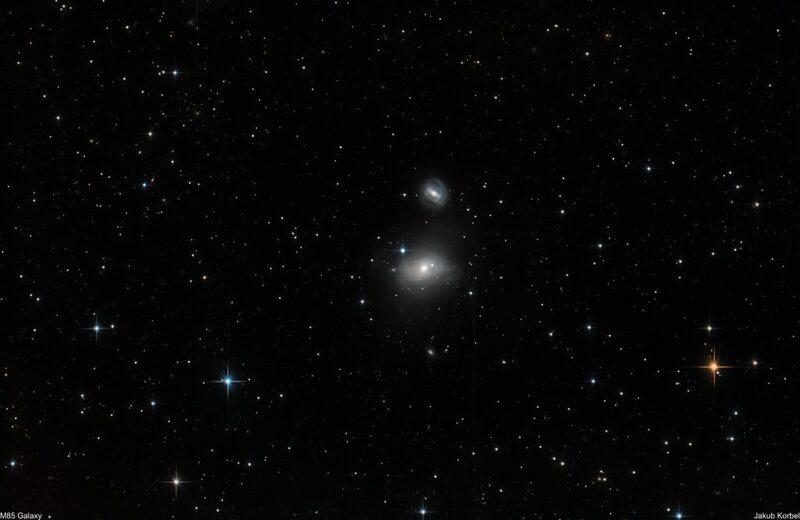 This time were captured two galaxies in one shot. 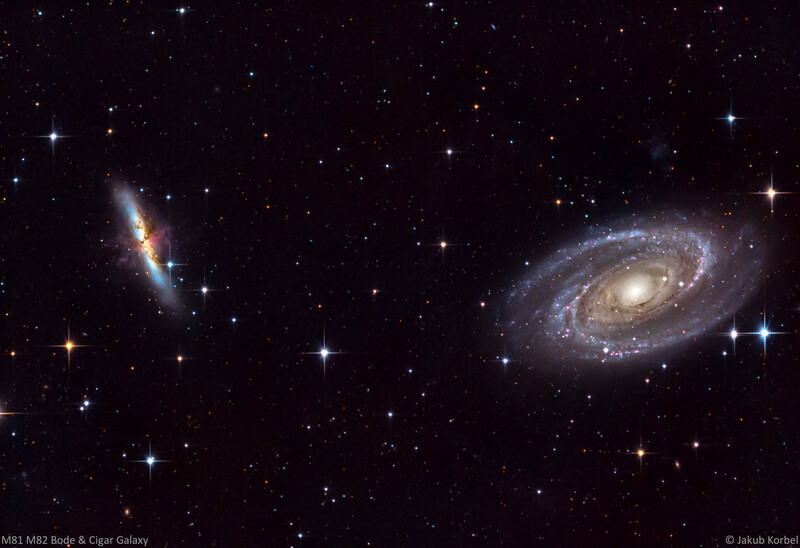 The spiral one on the right is called Bode Galaxy and on the left Cigar Galaxy. 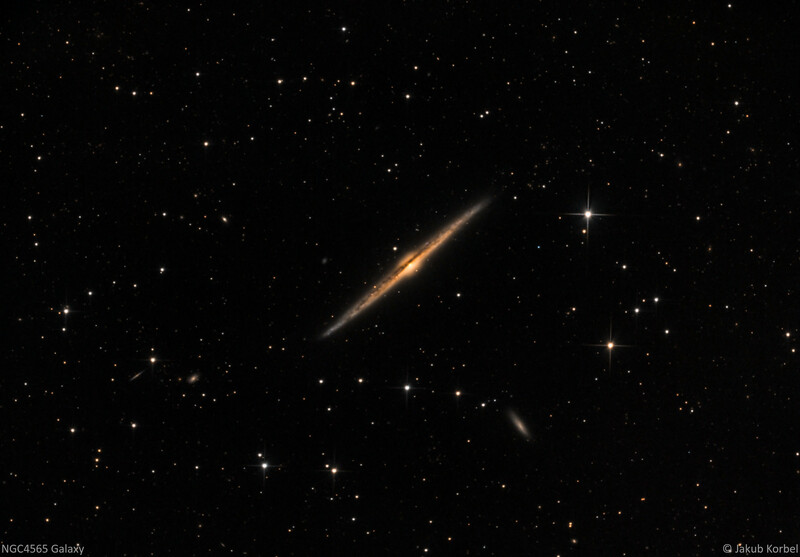 They are located in constellation Ursa Major (Great Bear) and they are proximately 12 million light-years away from us. 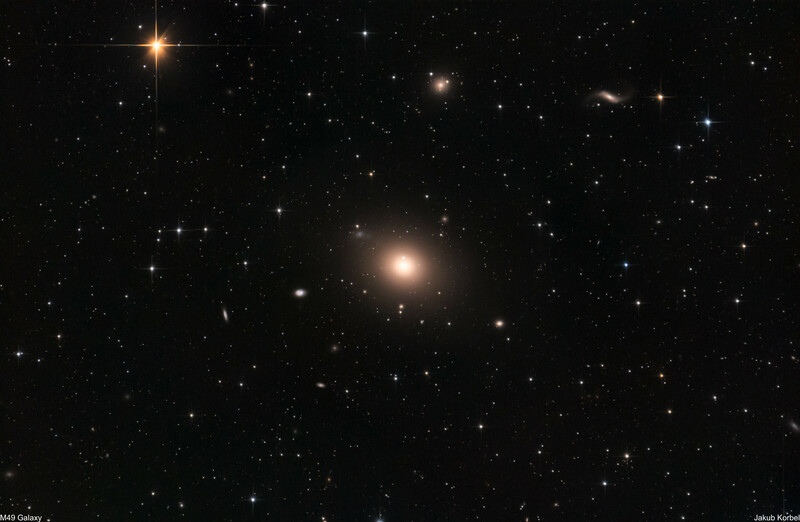 Even though their centers are quite far from each other (300 thousands light-years), they interact with each other and the smaller one (Cigar) was deformed by tidal forces caused by gravity. Previous picture didn’t reveal such details. 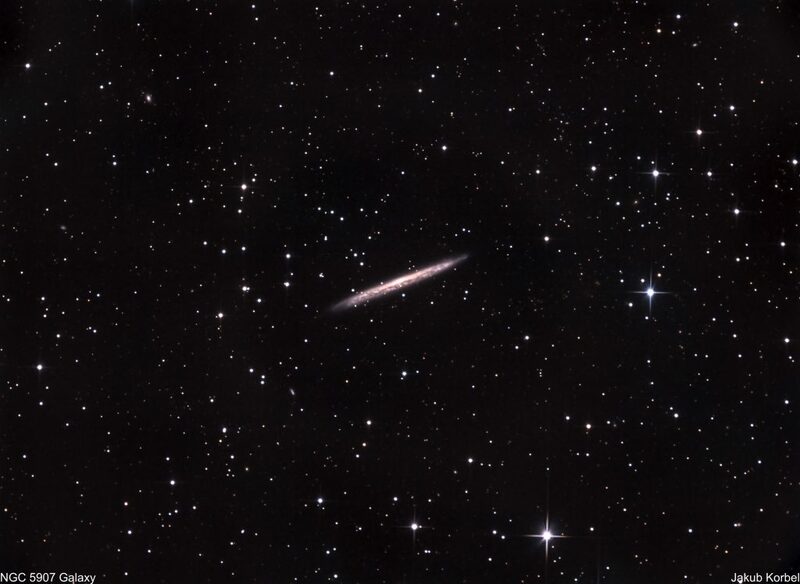 This spring I am harvesting the galaxies from the sky. 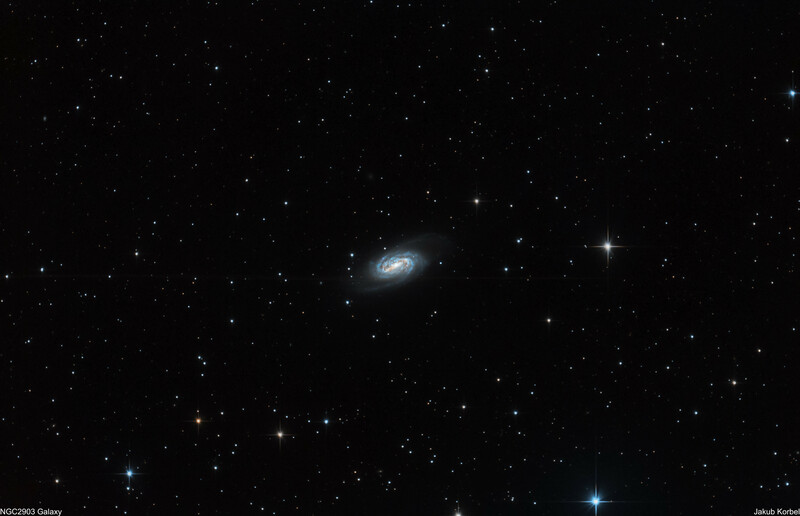 After the M104 Sombrero I pointed the telescope into the constellation Ursa Major and focused on M109 Vacuum Cleaner Galaxy, which is located approximately 83 light years from us. Unfortunately, one bright star – Phad was in the visual vicinity and created diffraction spike spreading through the picture. So next time I will change the composition.